Women/gender and women’s empowerment serve as core impetus in the attainment of the Millennium Development Goals (MDG), however, gender fails to be viewed as a critical pathway in improving the performance and service delivery of energy sectors. It is in the same manner that energy is not widely viewed to be significant in addressing development issues such as women’s education and employment, maternal health, child mortality rate, poverty, hunger, and even income. One reason could be the failure to perceive gender and energy as fuelling each other in a single development research and/or practice. Development researchers and practitioners, in the attempt to marry these two variables in a research or even in a debate, may be faced with the main challenge of arriving at analyses that will intertwine energy with gender, and vice versa, in the face of the first seven Millennium Development Goals which aims to eradicate extreme poverty and hunger by 50%, achieve universal primary education of boys and girls, promote gender equality and empower women, reduce child mortality, improve maternal mortality ratio, combat HIV/AIDS, malaria and other diseases, and ensure environmental sustainability including safe drinking water. The main question posed in this research is, what empirical evidence do we have to claim that energy has a role to play in gender and development of a country? There were attempts to recognize energy interventions in the income generation of women and human capital investment, for example, but these efforts seem to fall short of its goal because “...gender inequality still persists at every level of the energy sector.” (Cecelski 2006) We cannot still find discourses about energy and gender in the same research or debate and national policy-makers or agencies find it difficult to inject gender-sensitive policies in its energy projects and/or research primarily because there is no comprehensive and adequate understanding as to how important gender is in energy policy analysis and design. Another reason why issues of the probable linkage between energy and gender seems evasive is because gender is popularly perceived as a political discourse rather than being viewed as a crucial factor bringing about efficient and/or effective economic performance. On the other side of the coin, researches or projects on assessing poverty/development of a country fail to incorporate energy into the design and analysis. We do not even have experts dealing or professionalizing on both energy and gender that is why gender-sensitive energy policies are slow to be developed if it even occur in the proposals of energy proponents and policy-makers. We can also find wide gaps in terms of working relationships between social scientists and engineers who have different ways of perceiving and addressing development issues. The most excruciating fact is to make energy sector experts acknowledge and understand that gender is a key factor in delivering successful energy policy results. At the same time, one might be faced with the difficulty of justifying among social scientists who specialize on gender the significance of energy in the success of any gender/social development project. 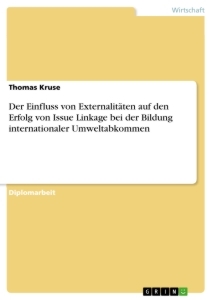 There maybe a pocket-full of empirical evidence on gender and sustainable energy available for research consumption in the past years but most remained undigested and the structured framework to identify links between the two remains weak. My next concern in this paper is to address the question, what approaches could provide us with a convincing linkage between gender and energy? This research attempts to explore, therefore, the linkages among gender, energy and development. A review and assessment of the past and present development issues such as gender equality, poverty alleviation, and income generation seems to lack the appreciation of energy policy researches. Energy policy frameworks and approaches fail to be applicable in gender theories and the Millennium Development Goals. 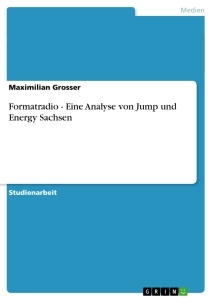 The main objective of this study, hence, is to improve our understanding about the relationship of gender and energy and to explore what impact does the relationship has on energy policies and development with the focus on gender. 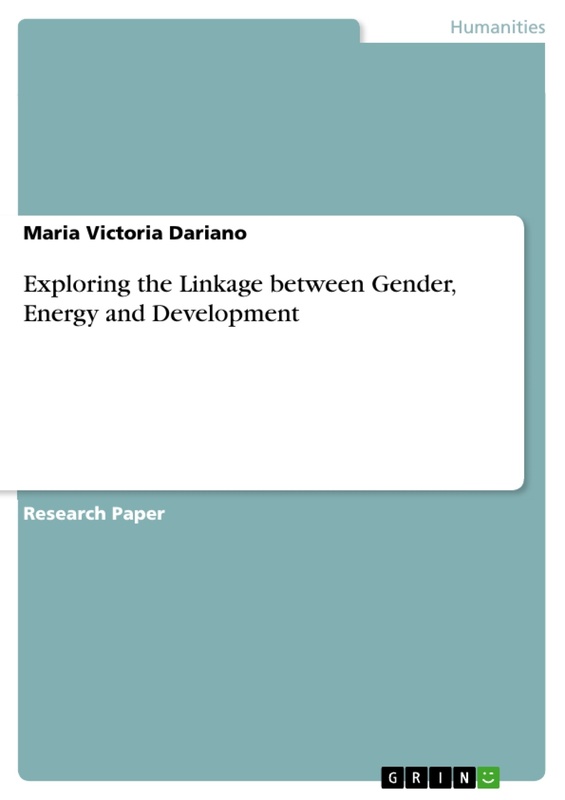 In order to provide an understanding on the linkages between energy and gender, this study aims to measure these linkages that would be credible for both energy and gender audience. 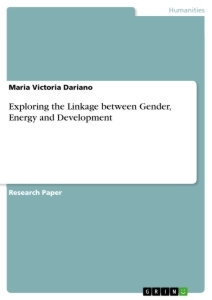 In successfully drawing the link between gender and energy and in identifying its impact on development; this study envisions to increase and to strengthen gender and energy research and policy collaborations among and in developing countries/institutions. Development indices measuring gender and energy of 55 countries were gathered from the 2004 World Development Indicators database calculated by the International Energy Agency (IEA), an autonomous organisation founded in 1973 which works to ensure reliable, affordable and clean energy for its 28 member countries and beyond. (www.iea.org) These indices- Energy Development Index (EDI), Gender-related Development Index (GDI), and Gender-Energy-Poverty Index (GEP) will be useful in identifying the links between gender and energy and its influence on a country’s development as measured in this paper by the country’s Human Development Index (HDI). This study will focus particularly on these indices as the ranked variables that construct the whole development function and is mathematically illustrated as: RankHDI= f[RankEDI, RankGDI, RankGEP]. 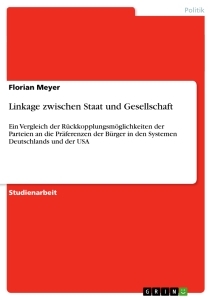 The data will be encoded in the Statistical Package for Social Sciences (SPSS) version 17.0. First, descriptive statistics will be obtained to determine pattern arising from the variables identified. Correlation analysis will then be employed to verify if there is an association between the independent and dependent variables in this study. The correlation coefficient indicates the strength and direction of a linear relationship between two random variables. In this particular analysis, the Pearson product-moment correlation coefficient will be employed which is obtained by dividing the covariance of the two variables by the product of their standard deviations . Spearman’s rho, on the other hand, will be used to measure the relationship between the independent and dependent variables which will be converted in this study in the form of ranks where the highest rank becomes rank 1, etc. The closer the coefficient is to either −1 or 1, the stronger the correlation between the variables. The correlation is 1 in the case of an increasing linear relationship, −1 in the case of a decreasing linear relationship, and some value in between in all other cases, indicating the degree of linear dependence between the variables. A multiple linear regression analysis will be employed to discover how much the independent variables affect the dependent variable. Also, graphical illustrations and interpretations will be employed to facilitate better understanding of the patterns of each variable in question. From 1970s to 1990s, researches and projects about women were left to be development concerns. Meaning, any discourse pertaining to women, a “gendered” issue, remains within the development framework tackled solely by social scientists. Women were rendered significant only in the household as mere recipients of energy services whose participation in decision-making or implementation was irrelevant for energy industries. Later, women were perceived by these energy sectors as consumers of their services whose views began to be significant for two primary reasons: 1) to extract new ideas from pertaining to new energy sources, and 2) to ascertain a definite market who could be both consumers and promoters of their new energy innovations such as improved stoves or other renewable energy technologies. It was in 2000 that the Millennium Development Goals in particular demanded from these energy sectors to give importance and more attention on poverty alleviation and gender equality in which energy access can contribute to its success. It was by this MDG pronouncement that gender visibility in energy sector was calibrated to further assert gender as a valuable factor essential to energy policy. 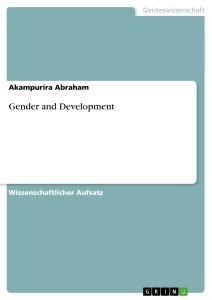 Since then, there were new ways offered in understanding the linkages between gender, energy, and development. The Millennium Development Goals (MDGs) traces back in 2000 when the United Nations Assembly crafted target initiatives to address the ten most pressing development issues worldwide. Each initiative has specific measurable goals to be achieved by 2015. After adopting and implementing these initiatives, progress assessments were presented before the World Summit in 2005. During the said event, it was noteworthy to find out that the MDG has no particular initiative pertaining to energy. It was the independently commissioned UN Millennium Project which reported that energy, i.e. electricity, fuel for cooking, etc. is prerequisite of a productive life. In reviewing the first seven MDG targets, we can find ample reasons to claim linkages between energy, gender, and development challenges. We have issues pertaining to time savings and reduced household expenditures, increased school attendance by girls, empowerment through having a wide range of options for more work, empowerment via information access in different forms of media, information about maternal health and infant mortality, and information about deforestation and Greenhouse Gases (GHG) emissions for environment sustainability. However, weak linkages between gender and energy are evident in the MDG target in combating HIV/AIDS and other gender-related illnesses. The role of energy in the income generation of women, maternal and child heath outcomes also seem to lack connection. These are concrete evidences where one might find difficulty in convincing energy policy-makers to welcome women’s insight in terms of participatory decision-making and action. While we can continue to claim or assume that there is a relationship between energy, gender and MDGs; we can only find so little empirical studies that will be useful in backing up our claim/assumption to be used as convincing evidence for decision- and policymaking. We have witnessed the historical roots of how gender has been rendered as the key driver for accomplishing MDG targets and linking it with energy interventions. This part lays down the bulk of this study’s exploration which comprises the global statistical studies and evidences on the claim that there is a relationship among energy, gender and development. The International Energy Agency (IEA) provides some evidences proving that there is, indeed, a strong relationship between energy and economic growth which implies that energy is a catalyst of economic development especially for developing countries. Their reports also show that there is a strong correlation between per capita energy consumption and human development indicators such as life expectancy, literacy and school enrolment as indicated in the United Nations’ Human Development Index (HDI). HDI also correlates strongly with the Energy Development Index (EDI) (IEA 2005). However, these reports did not supply clear and substantial indication whether there is a relationship between energy, and gender equity and empowerment. And to bridge the gap between gender and energy, the study conducted by Elizabeth Cecelski (2006) attempted to draw statistical analyses of energy access versus some key human development indicators of particular importance to women. She then employed correlation tests between energy consumption and United Nations gender-related development indicators. From the results, it was found out that the energy measure of EDI plotted by the IEA is correlated with the UN gender-related indicators of extreme poverty: life expectancy, probability of not surviving to age 40, school enrolment, and underweight in children (2006). A similar relationship was discovered by Bloom, et. al. (2005) in studying traditional biomass fuel usage. This particular study claims that the use of traditional biomass fuel has a significant effect on the infant and child mortality, life expectancy (with stronger association for females), fertility rates and crude birth rates, independent of both income per capita and income equality in a country.